Here’s video of a deafblind Brazil fan in the tense closing minutes of Friday’s match against Costa Rica, when Philippe Coutinho scored the game’s first goal in stoppage time. The fan, Carlos, is being aided by his friends, one of whom is using tactile sign language and a model pitch (which they built for the last World Cup) to show him where the ball is and what’s happening. 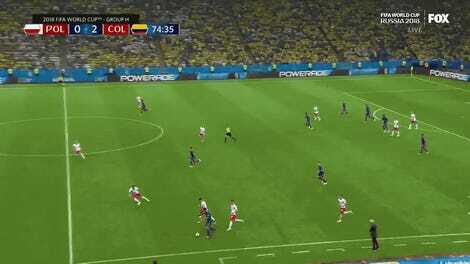 How Did James Rodríguez Make This Pass?